I totally adore my Spectrum Aquas. There are so many pretty colors and I love how they blend. When I was doing my tutorial for Spectrum Noir this month I revisited an old technique that works with basically all kinds of water based markers but I never really tried it with my Aquas before starting to experiment with it for my tutorial. It worked amazingly well, as I expected :) Klick here to get to the tutorial, if you haven't tried it before I highly recommend playing around because it is very easy, fun and gives a very pretty result. I started out with these pretty butterflies. I made them really colorful and made a CAS card out of the panel. 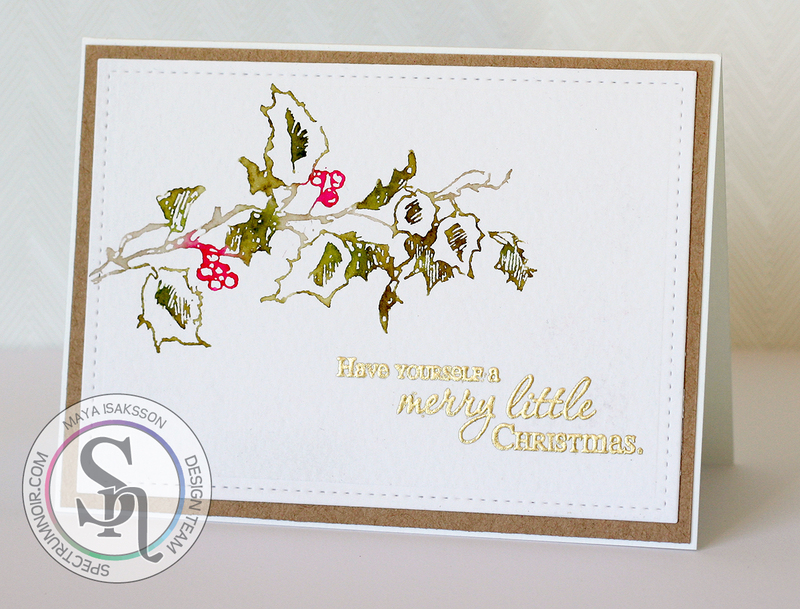 Then I reached for this pretty holly stamp and made a very quick Christmas card. Great for mass producing. 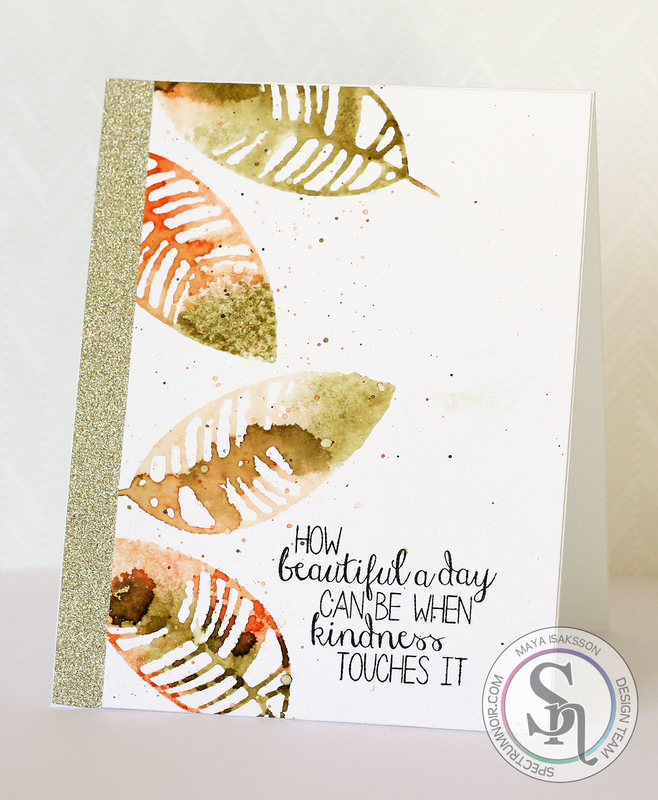 And the embossed sentiment makes it look special even though it doesn't take many minutes to make after you have planned it out. 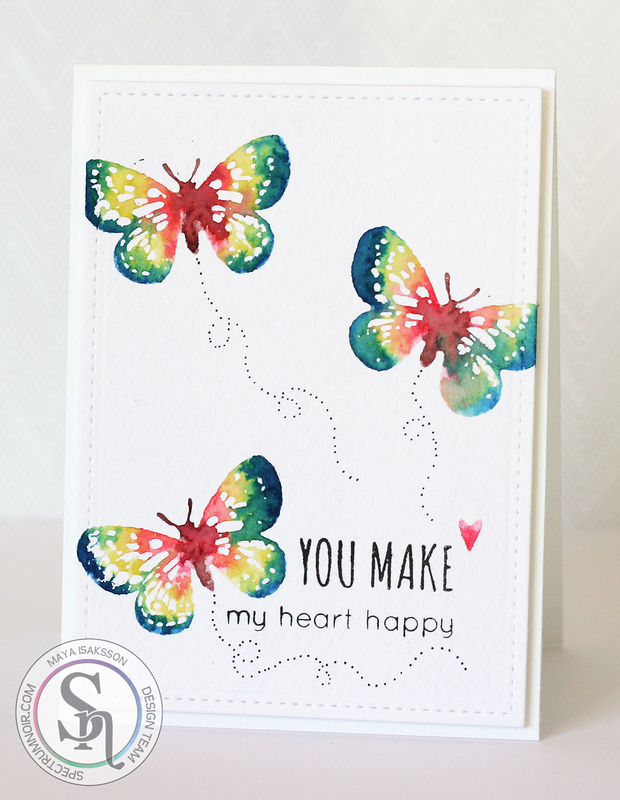 I also made this card using my Flights of Fancy stamps, I love how they turned out. I splattered some ink ovet it to make it a bit more interesting and added glitter on one side. Because glitter always makes everything prettier.